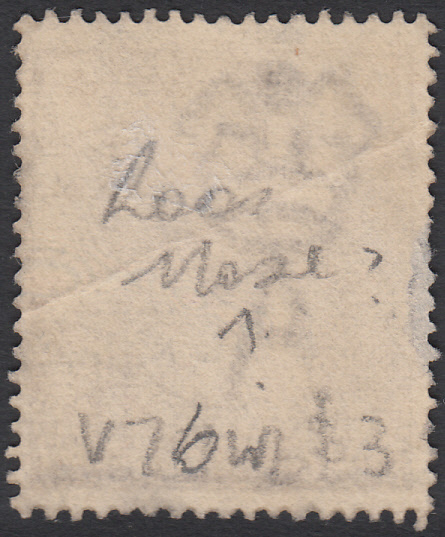 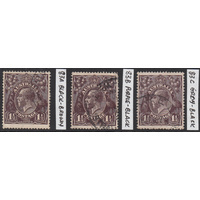 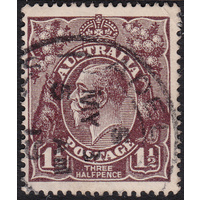 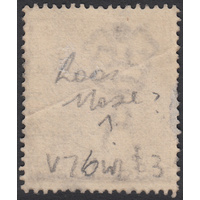 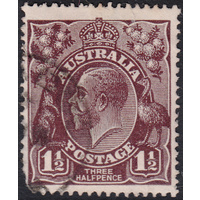 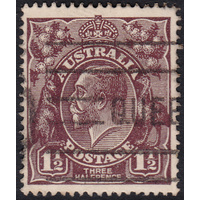 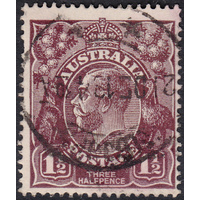 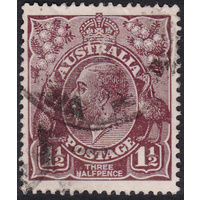 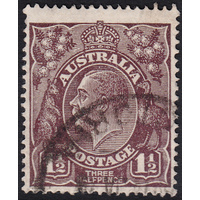 Australia KGV 1918, 1&1/2d Black-Brown, Single Watermark, variety 3L58, 1st State, (Small notch in right frame 1.5mm above bottom right corner, narrow notch into right frame 6.75mm above bottom right corner) in Fine Used condition with a diagonal crease. 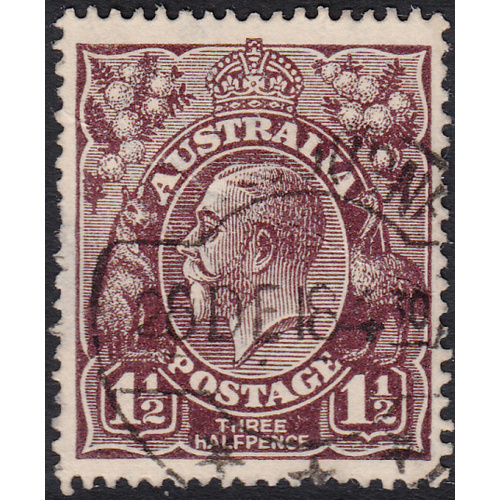 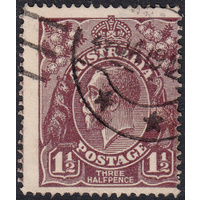 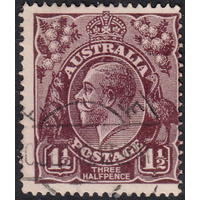 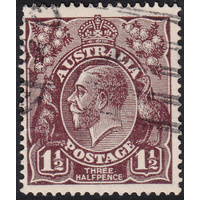 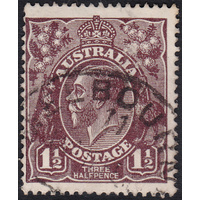 Well centered with a circular duplex cancellation (MELBOURNE, 28th December 1918) clear of the first indicator and just clear of thesecond indicator. 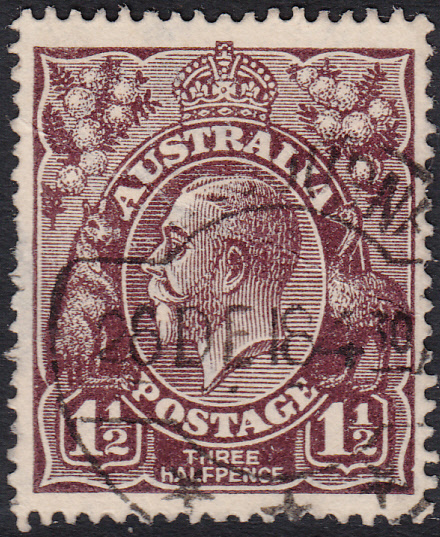 Attractive example!